After a weekend in Monti Sibillini, I decided quite quickly to move on to my main destination of my trip. 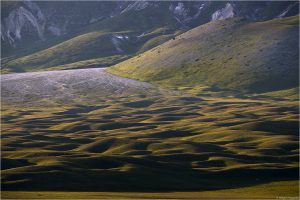 The plateau of Campo Imperatore in Gran Sasso et Monti della Laga national park is – with an altitude between 1500 and 1900m above see level – even higher than the plain of Piano Grande. And – sorry to Monti Sibillini – it is considerably more spectacular! A landscape of no comparison to anything else I’ve seen so far. 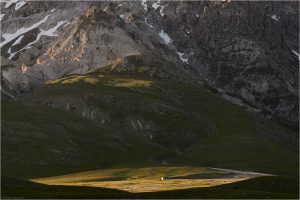 A plain, without trees, formed by glaciers in ancient times, surrounded by at least half a dozen peaks of more than 2200m. And at the western border of Campo Imperatore the most breathtaking mountain: Corno Grande (2912m)! Only one mountain I know is of a comparable grace and power at the same time, and that’s Kirkjufell in Iceland. Though you actually cannot compare these two mountains, but they arouse the same speechless amazement when you first see them. 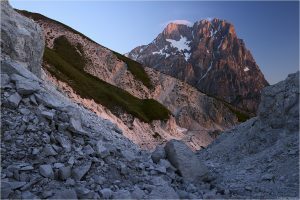 Corno Grande is pure natural force. 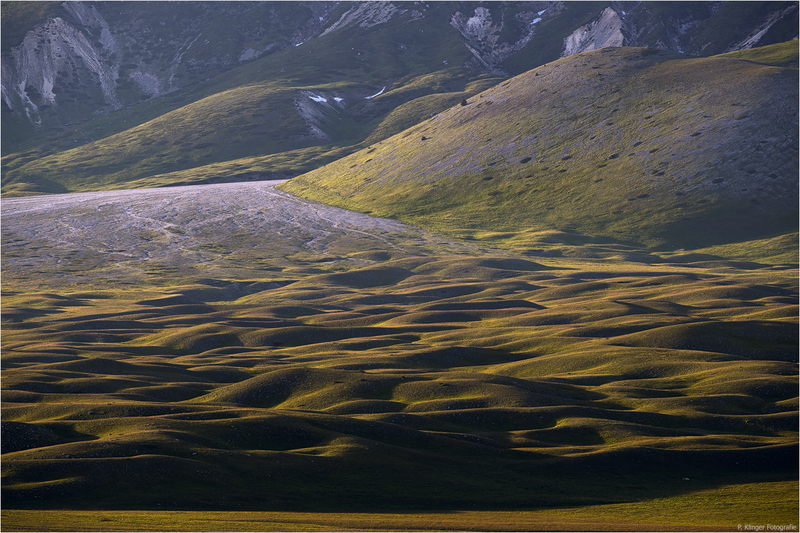 As I said I would return to Monti Sibillini one day, this is even more true for Campo Imperatore. Something you would’nt expect in central Italy – glacially formed lamdscapes. 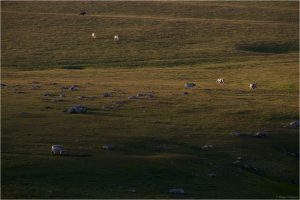 Cattle are grazing on the meadows of Campo Imperatore. A small shepherds hut below the hillside of Mount Prena. 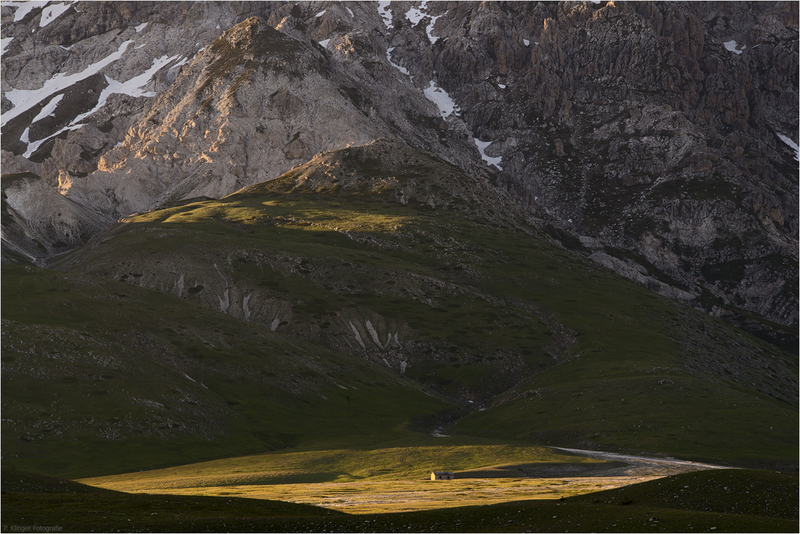 The first light of the day makes the gigantic Corno Grande glow like fire. 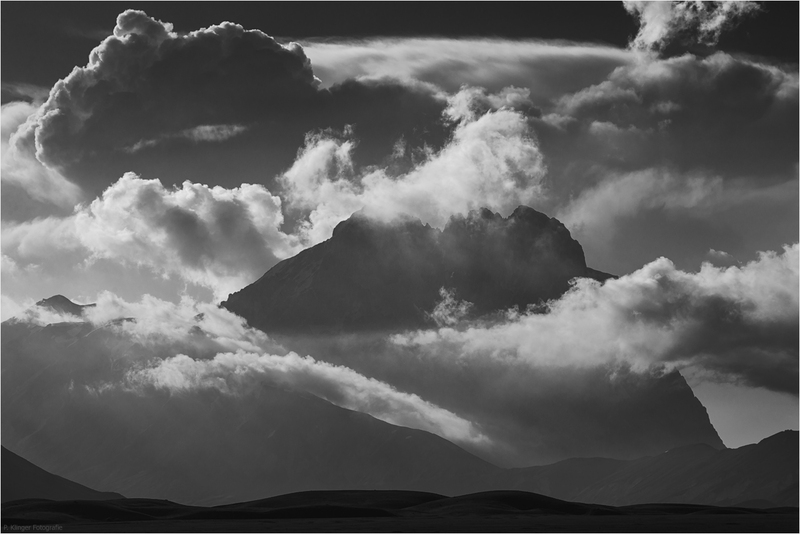 Dramatic clouds forming around Corno Grande. The Italian Tibet – you know why after you’ve been there. 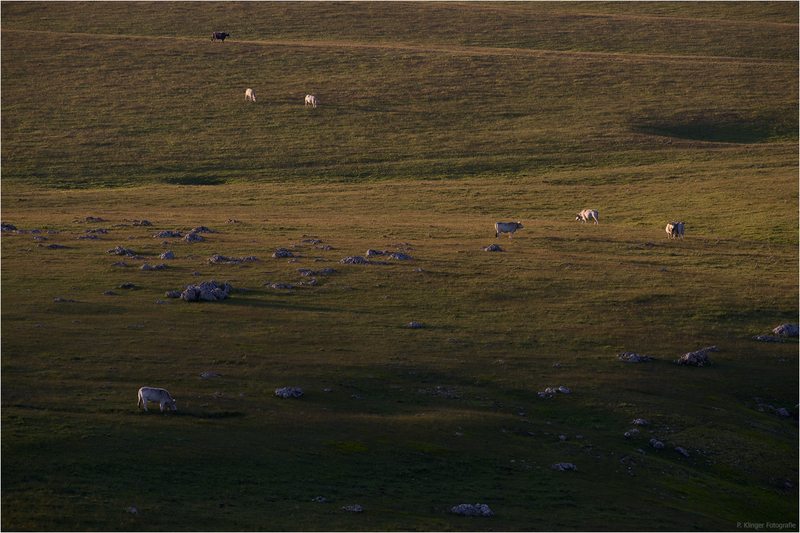 Early morning on the plateau of Campo Imperatore.